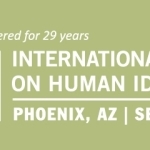 24–27, 2018, in Phoenix, Arizona. of presenters as they are confirmed, visit http://ishinews.com/speakers/. and ethical issues in the field today. for a conference agenda and late-breaking updates. provided products for DNA-based human identification for over 20 years. over 50 global distributors. For more information about Promega, visit www.promega.com.